80-20 Rule and its Implications. 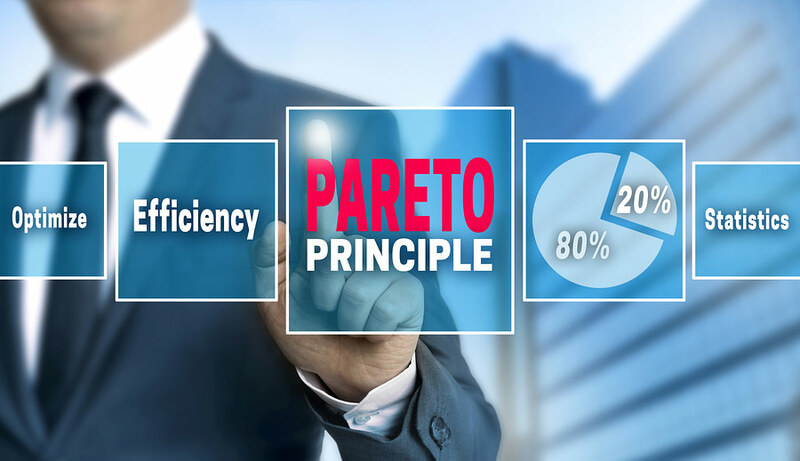 Recognizing the implications of the 80-20 Rule, also known as the Pareto Principle, can have a profound impact on your business and your life. But why is this? Well, if you apply it to your business or your life, you will quickly see that 20% of your inputs will yield 80% of your outputs or that 20% of your effort will deliver 80% of your results. Applying this rule to your business can stop you from wasting 80% of your time on activities and customers that only generate 20% of your income. It all sounds too simple to really work, right? The lessons from this are really important. We tend to assume that equal effort will deliver equal results. 50% of inputs rarely equate to 50% of outputs and linear relationships between inputs and outputs rarely exist. The balance is nearly always skewed towards the 80-20 Rule. For more information on the 80/20 Principle, I would recommend you read the book on this topic by Richard Koch, available on Amazon. Click on the link below right now to view the full version of this article and to discover how to apply the 80-20 rule effectively in your business..